For some reason, when the holiday season rolls around people put starting a business on the backburner. I know the holidays are busy with baking, shopping, parties, gift wrapping, addressing cards, and other festivities — but this is when people are SPENDING MONEY! According to a new report from the Rubicon Project, the average person is planning to spend $1,175, which is up 12% from last year. So, why wouldn't you want to cash in on this opportunity?! If you've been thinking about joining a direct sales opportunity, here are some reasons why the holiday season is the perfect time to launch your business! The number one reason to join any party plan business is, of course, the money. 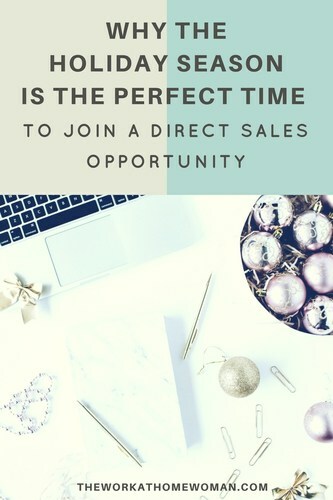 When you join a direct sales opportunity, you'll earn a commission on each item you sell and with individuals spending an average of $1,175 during the holiday season – it makes December an exciting and lucrative time to join. What commission rate will you earn? What happens if you don't meet this quota? Do you have to pay for your website? Can customers place orders online? What is the discount you receive on products? What is the price point of the products? Are there any limitations on how you can market your wares? Once you've thoroughly investigated the company, sign up for your starter kit and get to selling. Now sure what direct sales companies are available? For a complete list of companies and products — check out this post. Who doesn't want to save money during the holiday season?! When you join a party plan company, most of them offer their consultants steep discounts on products. With many companies offering 50% off products this could be an incredible way to save a lot of money during the holiday season. Another bonus of purchasing gifts through a direct sales company is they usually have free shipping and adorable packaging, so you save time by not having to hit the malls or spending hours gift wrapping presents. Are you waiting for the New Year to launch your dream work-at-home business? Why? There are still four weeks left in 2016 — and that is more than enough time to jump-start your business. All too often people wait for the RIGHT time. This procrastination or “right time” mindset happens all the time, but even more so around the holidays. But in all truth, there is never going to be a perfect time. Life is busy, and things are always going to come up. Don’t wait for the New Year to start. Lay the groundwork for your business today! And come January 1st, instead of making a resolution to launch your business — you’ll have already laid the groundwork. Just think how good it will feel to have a head start when the New Year rolls around. To reward and motivate sales reps, many direct sales companies offer significant incentives and rewards for reaching sales milestones, team building efforts, and leadership roles. When you're choosing a company to work with, definitely be sure to check out what incentives they offer. One of the great things about joining a direct sales company is when you start you'll receive a startup kit which usually contains a good amount of product. This may be clothing, jewelry, accessories, handbags, home decor items — whatever it is, you can use it for your own personal use. 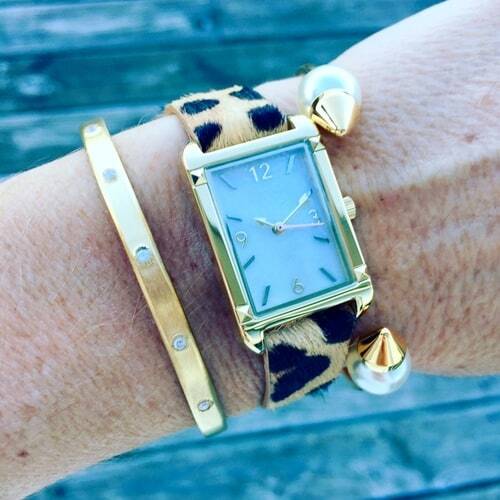 Think of how nice it would be to go to a holiday party and to be bedazzled in new jewels and gems. Or when you entertain, to have tasty treats or wine to serve your guests? And this is a terrific way not only to look good, but it's an excellent way to promote your products. Of course, each company has their own unique setup, so you'll have to see what samples you receive with your startup kit and their terms of service. Wondering if you have the right personality for a direct sales position? Check out this post to find out! Do you belong to a direct sales company? Or do you shop with women who are affiliated with a direct sales company? If so, drop a comment below and let us know your favorites. This page includes affiliate links. 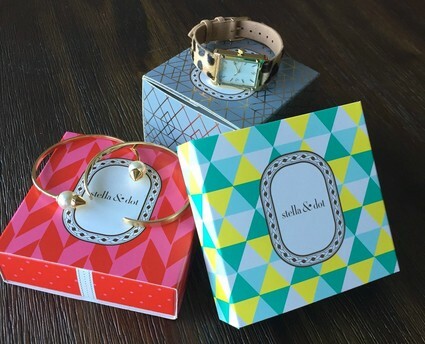 I was given some Stella & Dot samples to review. Please be aware we only promote advertising from companies that we feel we can legitimately recommend to our readers. Please see our disclosure policy for further information. This is a really good article. Direct sales gets a bad rap and this puts it in perspective. Glad you enjoyed it, Faith. I know, network marketing does get a bad rap. I think part of it is people don’t know the difference between multi-level marketing opportunities and real pyramid schemes. I’ve met a lot of women who are making amazing money with direct sales — you just need to have a passion for what you’re selling.